Uses: Church Colors: Browns/Tan/Beige Lengths: 7 panel 13'-1" Heights: 6'-0"
As churches experience ebbs and flow in attendance and ministries, the need for storage space also changes. Immanuel Lutheran converted an old storage space into an office and needed to find a place to store their children’s’ ministry crafts, toys, and lesson plans. After working with our sales consultants, the church selected a 7-panel fabric wall in Designer Desert to match their decor in a large classroom. Shelves were installed near the back of the room for storage and the church divider was added to expands the width of the classroom to create a visual barrier between the newly created storage space and the classroom. 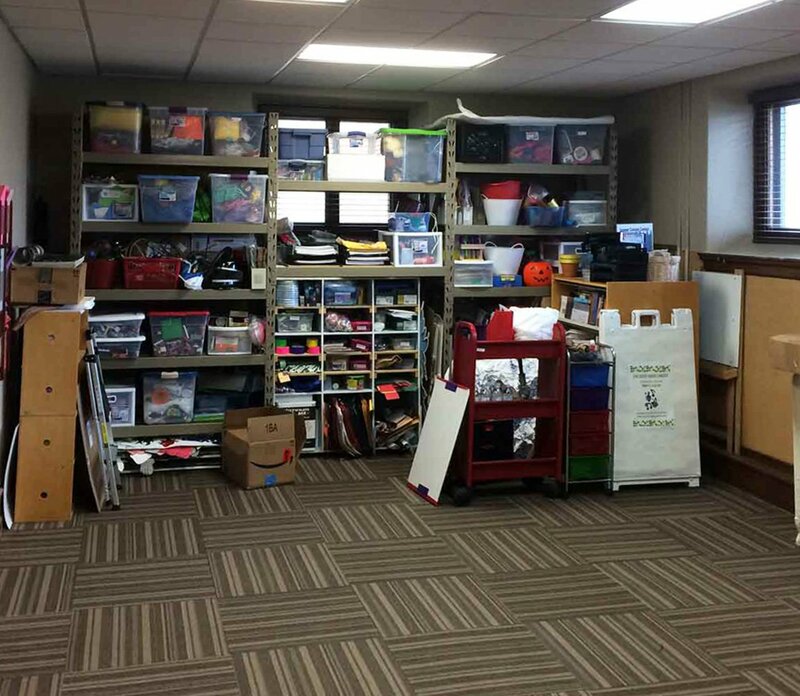 The teachers enjoy their expanded storage space. The items are easy to access and no need to leave the students in the classroom in an item is needed. As an added bonus, the portable partitions dampen noise to create a more optimal learning environment for the kids. 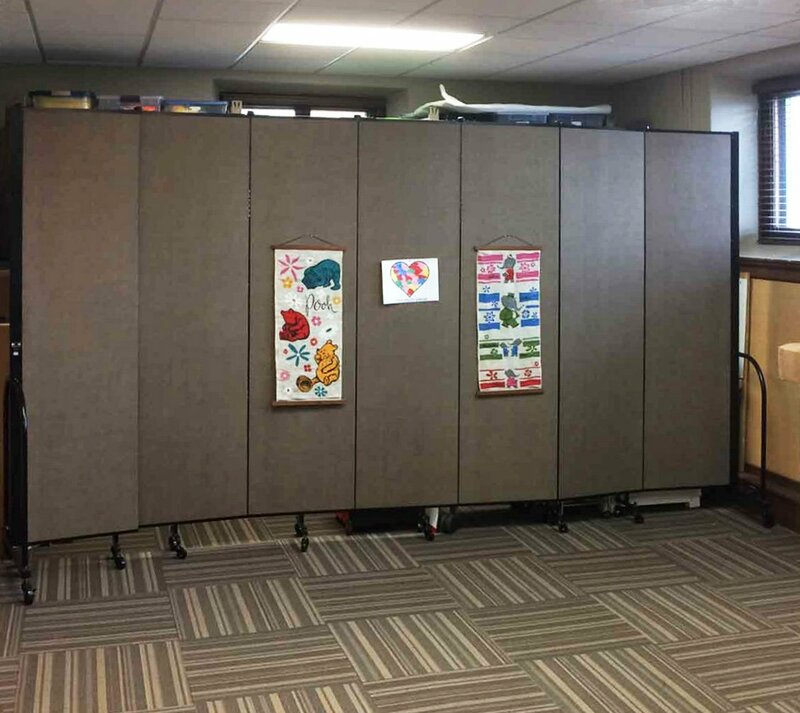 The fabric walls also allow the teachers and students to tack or staple items to the portable walls for an added educational experience.